DESCRIPTION **OPEN HOUSE SUN APR 7 2-4PM** Luxurious executive home on an oversized lot in the heart of Calgary. Enter through an elegant stainless-steel clad door into a spacious foyer. Hardwood flooring throughout the main, imported stainless-steel appliances in the kitchen, quartzite countertops, stone and wood beam accenting, an elegant dining area and cozy breakfast nook, a sleek private office, a gas fireplace in the spacious living room, are just the start. No expense spared! The kitchen is a gourmet's dream and the massive south facing deck is perfect for the upcoming BBQ season. Upstairs you'll find two generous bedrooms, a 4pc washroom, and a second family room w/ fireplace. The master suite is stunning w/ a spa inspired ensuite (steam shower, soaker tub, dual sinks, and a custom walk in closet). There's more room in the upstairs loft! The basement is fully developed w/ a wet bar, in floor heating, gym, and guest suite. Park in the dbl garage and walk to fine restaurants, shops, green spaces, and transit. Home for sale at 2219 24a ST Sw Calgary, Alberts T3E 1V7. 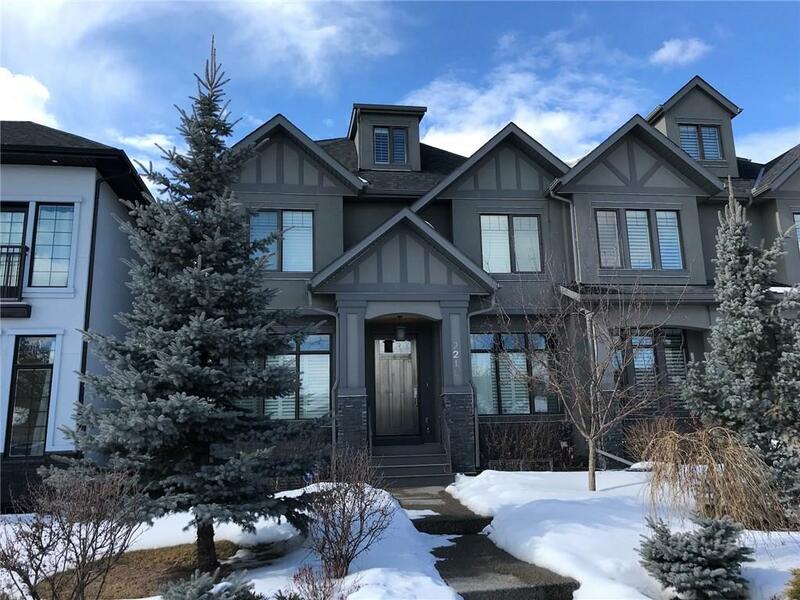 Description: The home at 2219 24a ST Sw Calgary, Alberta T3E 1V7 with the MLS® Number C4233023 is currently listed at $1,025,000.